We have the tips you need to keep your poinsettia healthy over the holiday season. Read on for our advice. Do you find it difficult to keep your poinsettias looking healthy and bright? We have some advice on how to keep them happy. Often given as hostess gifts, poinsettias are a staple in many homes during the holiday season. To keep your poinsettias healthy follow these guidelines. Poinsettias do not like the cold. Any store that lets their customers leave with a poinsettia unwrapped should be arrested for poor customer service. Make sure they are wrapped well and your car is warmed up when transporting poinsettias home. Once home keep them away from drafty entrances or heaters. Keep them evenly moist. Not soaking wet but do not let them dry out. If you have trouble gauging water then invest in a moisture meter...... it is a life (and plant) saver! Keep poinsettias in bright light as they gradually decline without any natural light. Want to keep your poinsettia after the holidays? 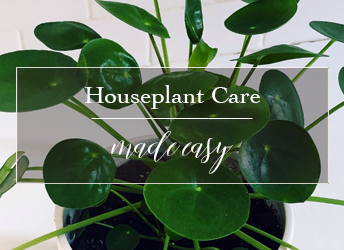 This part of the post is for crazy plant people only! Keep watering and fertilize once a month with 20-20-20, remove leaves and flowers as they fade. In late March or April cut stems back to about 15cm and reduce watering to give the plant a rest period. Late May, pot up poinsettia into a larger pot with fresh soil. In mid-June put it outside in dappled shade. Keep watering and feeding. In July /August pinch back branches to encourage bushier growth. Labour day, bring back inside house and spray with insecticidal soap. Starting October 1 give your plant 6 hours of bright light and 14 hours a day of uninterrupted darkness( put a cardboard box over the plant in a closet. Continue this process for 8-10 weeks until small bracts appear then bring it out into sunny spot and it should be gorgeous by Christmas once again!